for $382,500. 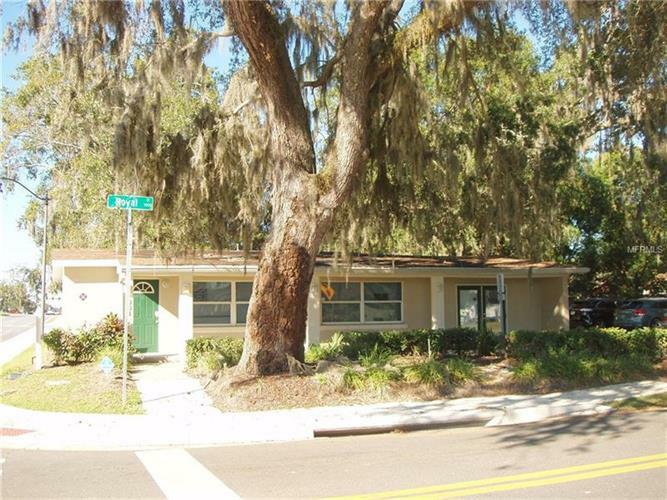 This 1,225 square foot building was built in 1954 on a lot size of 0.62 Acre(s). Unique commercial opportunity. Sale includes current structure on corner of Royal and Oak Street, two adjacent lots and another lot across the street on the other corner of Royal and Oak Street. There is an approved PUD (see attachments) that allows for many uses including, medical, professional office, personal service establishments and may others. Opportunity to expand current structure by combining adjacent lots, add parking and retention. Lot across the street could be developed separately or sold separately. Located down the street from Osceola Regional Hospital in an area of other medical uses. Additional lots may have mobility fee credits. Make your appointment today!